A chance to work closely and in a small group, with one of the few KPJAYI Certified Ashtanga yoga teachers. Following the traditional ‘guided self-practice’ method, you will have the opportunity to deepen and develop your asana technique and practice, whilst being guided through methods of approaching the more challenging postures. On Saturday afternoon the workshop will focus on tristhana, technique and safe alignment. All levels of Ashtanga yoga practitioners are welcome. 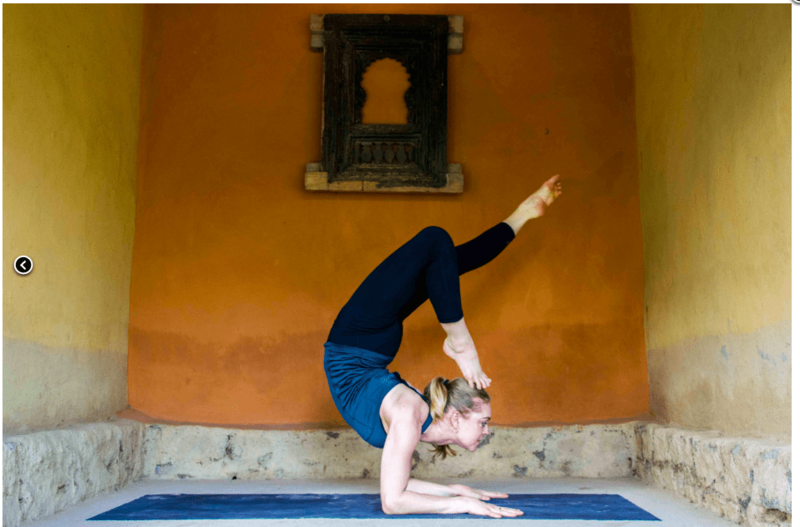 From London, Philippa Asher is one of a few Ashtanga yoga practitioners in the world (and the only British woman), to be Certified by Sri K Pattabhi Jois, to teach the Ashtanga yoga method in his tradition. She has learned the Primary, Intermediate, Advanced A and Advanced B Series directly from Pattabhi Jois and Sharath (at the Krishna Pattabhi Jois Ashtanga Yoga Institute in Mysore, India) and shares the Ashtanga system, internationally. For our 2019 retreat Cathy and I have chosen Yoga Apuglia in Italy’s Southern Region of Puglia. As always we have carefully selected a venue to perfectly suit our guests’ needs. This brand new boutique retreat centre has been set up exclusively for yoga and meditation practice. It’s an intimate space that has been created incorporating principles of permaculture, where guests can escape from the demands of the modern world in the beautiful, peaceful setting of the Valle d’Itria. Our intention for this retreat, as always is to create a space for students to deepen their understanding of Ashtanga yoga and cultivate a daily practice; whilst also having time to rest and restore in a beautiful and peaceful setting. Each day will begin with a morning mysore session, including a beginners intro for those new to yoga; and will be followed by a group brunch. There’ll be free time during the day to relax by the pool or explore the surrounding area, with an option to take group trips if desired. The group will come together for four afternoon workshops, allowing students to delve deeper into Ashtanga Yoga, as well as also experiencing the profoundly restorative practice of Yoga Nidra. Each evening dinner will be shared in the courtyard. The retreat centre is set in 2.5 acres of grounds in a valley filled with olive and almond groves. It’s located between the historic towns of Ostuni and Cisternino which are around a 10-20 minute drive away. The accommodation is in trulli which are stone buildings with conical roofs unique to the region of Puglia. Accommodation consists of seven twin/double bedrooms all with private ensuite bathrooms and AC for the hottest summer months. All rooms are renovated to a high standard using locally sourced materials to create a luxurious yet simple and understated feel. Meals will be served in the large outdoor courtyard and there’s a purpose built Yoga Shala where we’ll practice. Relaxation time can be spent at the swimming pool or on one of the several outdoor terraces that offer places to relax in both the sun and shade. Plenty of free time to kick back and relax by the pool; explore the surrounding area; or take a trip to the beach which is around a 25 minute drive away. The centre is located approximately 40 minutes’ drive from Brindisi airport or 55 minutes’ drive from Bari airport. Both have a good selection of international flights from British Airways, Easy Jet and Ryan Air. Transfers from the airport can be arranged on request (at an additional cost). It’s also possible to hire a car at the airport relatively cheaply should you wish to be more adventurous during your free time. Contact Lauren to reserve your place. A deposit of £200 is payable to confirm your booking with the final balance due on 1st July 2019. Still not sure if you should book? Here’s what guests have said about our previous retreats…. A dynamic, physically challenging practice, following a set sequence of postures. Deep steady breathing synchronised with the postures creates a purifying internal heat, which burns away toxins, resulting in a strong, light body and a calm mind. With dedicated practice over a period of time comes the potential to transform your life, not just physically, but mentally, emotionally and spiritually too.